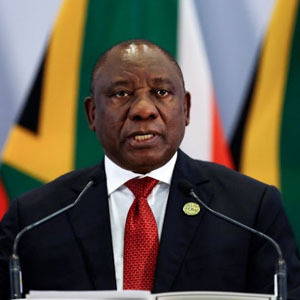 South African President Cyril Ramaphosa addresses a media conference at the end of the BRICS Summit in Johannesburg on July 27, 2018, as the heads of the BRICS group — Brazil, Russia, India, China and South Africa — met in Johannesburg for an annual summit dominated by the risk of a US-led trade war. Almost exactly a week ago a bunch of us rugby enthusiasts asked the question, “can we beat the All Blacks?” Everybody thought not. Nick Mallet thought we needed to score 36 points to hold the margin of defeat to 20 points. Now we have President Cyril Ramaphosa announcing we can kick-start the economy. “For several years our economy has not grown at the pace needed to create enough jobs or lift our people out of poverty. It is in response we are announcing today, following its adoption by Cabinet, an economic stimulus and recovery plan. fourthly to address some urgent challenges that affect the conditions faced by vulnerable groups among our people. Firstly, implementation of growth-enhancing economic reforms. We will change our visa regime to boost tourism and make business travel a lot more conducive. We will restore investment and exploration levels in the mining sector with a revised Mining Charter. We will not to proceed with the Mineral and Petroleum Resources Development Act Amendment Bill, which has contributed to a lot of uncertainty in the sector. We will review of various administered prices, starting with electricity, port and rail tariffs. We will reduce data costs. Lower data costs will also provide relief for poor households and increase the overall competitiveness of the South African economy. We will protect poultry and other sensitive sectors and a vigorous crackdown on illegal imports. What we do will take place within the current fiscal framework and in line with the normal budgetary process. We will prioritise funding will be directed towards investments in agriculture and economic activity in townships and rural areas. Agriculture has massive potential for job creation in the immediate and long term, this will include a package of support measures for black commercial farmers so as to increase their entry into food value chains through access to infrastructure like abattoirs and feedlots. We will prioritised funding to be re-directed towards igniting economic activity in townships and rural areas. We will also be re-directing resources towards addressing immediate challenges in health and education, which are critical to the health, wellbeing and productivity of our people. 1,100 sanitation projects will be completed in the current financial year. We will set up a South Africa Infrastructure Fund, which will fundamentally transform our approach to the rollout, building and implementation of infrastructure projects with meaningful partnerships with the private sector, government contribution will be R400bn. We will identify and quantify “shovel-ready” public sector projects, such as roads and dams, national roads, human settlements, water infrastructure, schools, student accommodation and public transport. and engage the private sector to manage delivery. We will encourage the IDC to increase its approvals to R20bn over 12 months, an increase of 20% on the previous year to focus on the productive sectors of the economy, including manufacturing, mining, industrial infrastructure and sectors in distress. We have identified 57 priority pilot municipalities in order to unlock infrastructure spending in the short term. This spending will cover, among other things, sewerage purification and reticulation, refuse sites, electricity reticulation and water reservoirs. We will implement a series of interventions to ensure that growth is labour intensive and that young people in particular are drawn into the labour market. We continue to draw on the guidance and support of bodies like the National Planning Commission, which will soon release its own guidance on focal areas to stimulate the economy, and government will continue to co-ordinate its work with formations like the CEO Initiative. 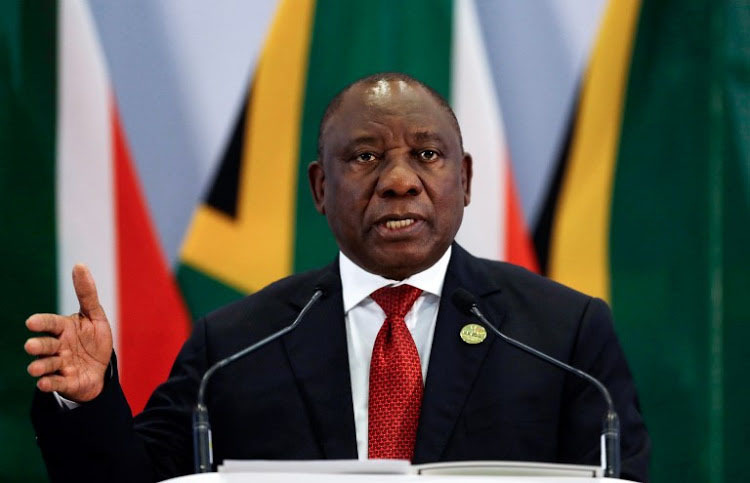 Thank you Mr. Ramaphosa, like we did with the All Blacks, we will try our hardest, we will play as a team, we will focus, we will defend, we will attack, and, under your coaching/leadership we will play by the rules – and we trust that you, as our leader, will ‘red card’ those that don’t – and get them off the field and out of the way – that’s our only hope of winning.